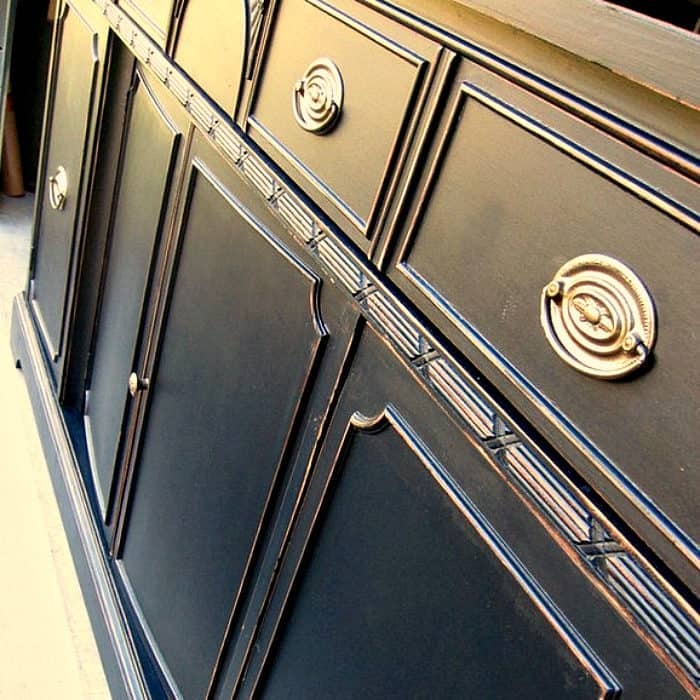 Black painted furniture is dramatic. Black is a neutral color and will work anywhere. It can be dressed up or dressed down…..casual might be a better word. You guys may remember this piece from an earlier post. The black paint really makes a statement. The paint is Beyond Paint brand and the color is Licorice. Remember the one where I had Issues with the Hardware, well this is it. All of the handles were broken off and the replacements I found on Ebay were way too pricey. I want to say thank you to all of you who sent me links to hardware sites or to those of you who offered alternative suggestions. But luckily in my stash of vintage hardware I was able to come up with 2 same size replacements and four smaller replacements in the same style. So that’s what I went with. Much more economical. Of course, that means for the four smaller pulls I had to fill holes and drill new holes. Oh, I forgot to tell you that the 6 replacements worked fine because there are 4 drawer with pulls and 2 cabinet doors with pulls so the 4 smaller ones worked fine for the drawers. If you need a tutorial on filling screw holes when replacing hardware I have a dandy. I even shot a short video of the process. I’m a visual learner so if you are like me you might want to watch the video. You can find the whole post here…How To Fill Screw Holes. When I fill holes with wood filler I tape the back of the holes to keep the filler from coming through. I also tape up the holes before painting any piece of furniture to keep the paint from leaking into the drawer. 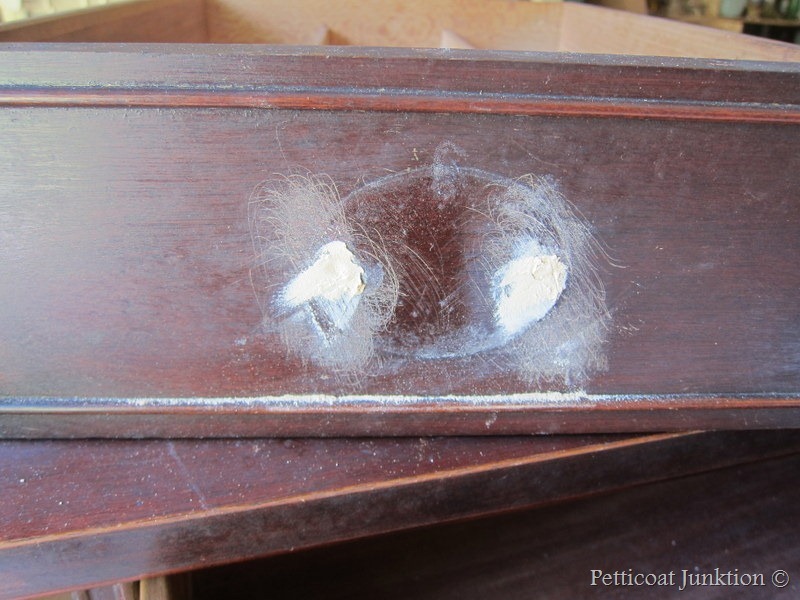 You can see the inside of the drawer is a dirty mess to start with. I cleaned it up after the paint job. The I added a nice coat of wax to bring the wood back to life. 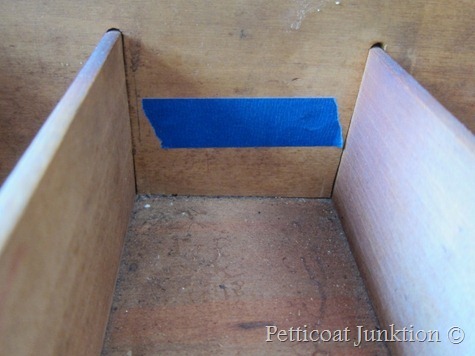 I also tape the sides of the drawer and the inside ledge for a nice clean straight line. 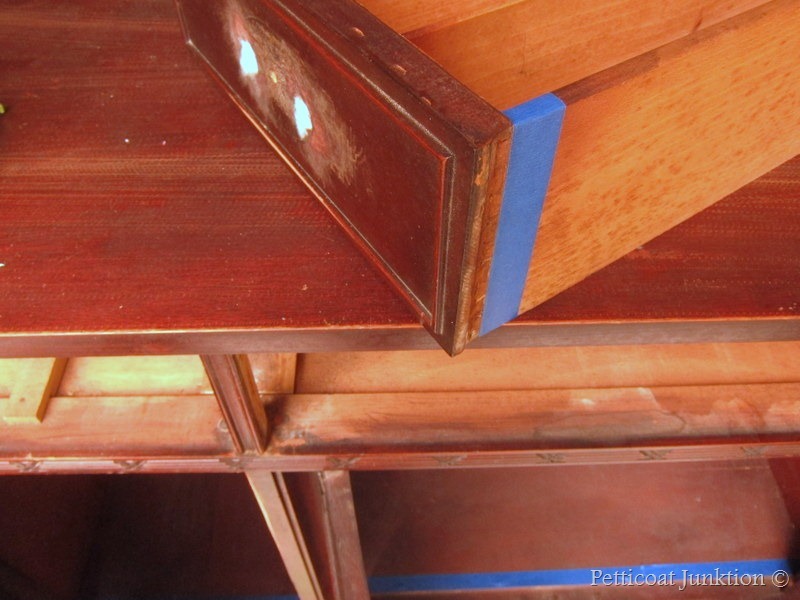 This gives your finished piece a much more professional look than just getting paint all over the place! I admit to not doing this in my first few years of furniture painting. And sometimes I still don’t do it. If the furniture is a mess to start with and I”m really going to shabby chic it up then I don’t tape the drawers. 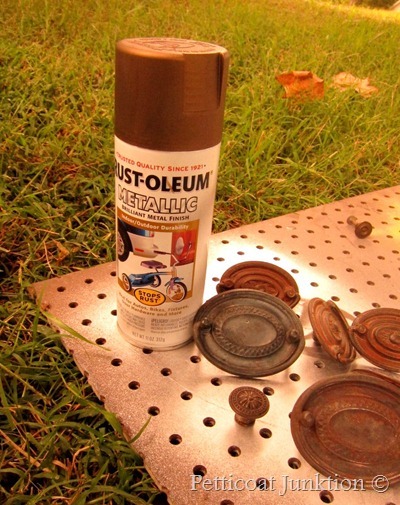 I spray painted the hardware with Rust-oleum Metallic in Antique Bronze. 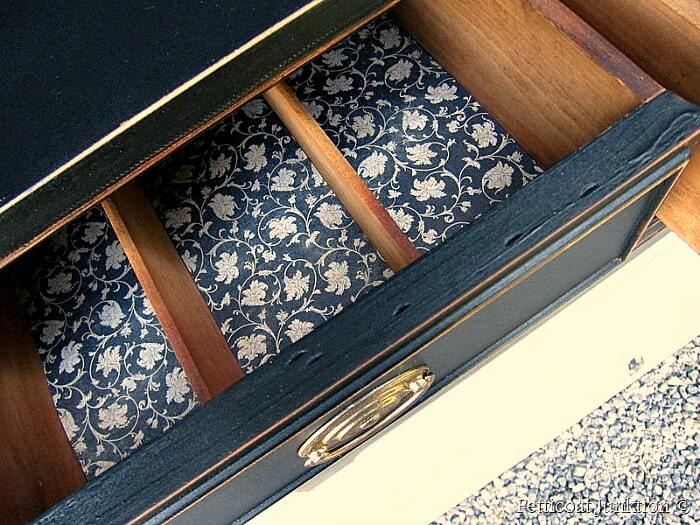 I cleaned the inside of the drawers with Simple Green and lined them with scrapbook paper. 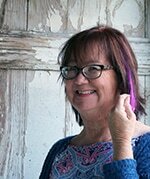 This easy, inexpensive touch really makes a statement. 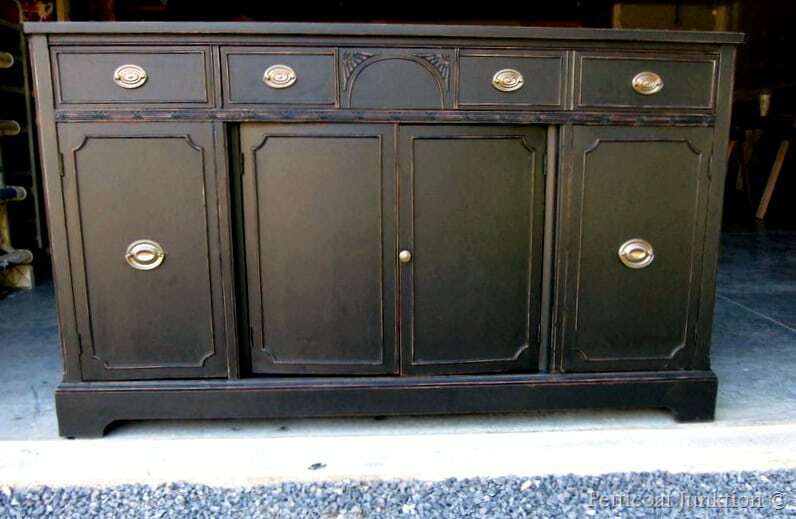 Want to learn how to “antique” black furniture….or any painted furniture? 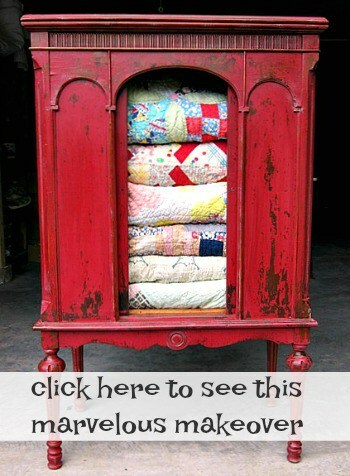 Find the tutorial here…5 Steps To Antiquing Furniture. Cindy, Sounds like a nice buffet. I don’t think the urn burns will show after you paint it. If you want a simple look I would do everything in black…even the hardware. Then distress all those lovely details! Wow, couldn’t believe it when I ran across this buffet. 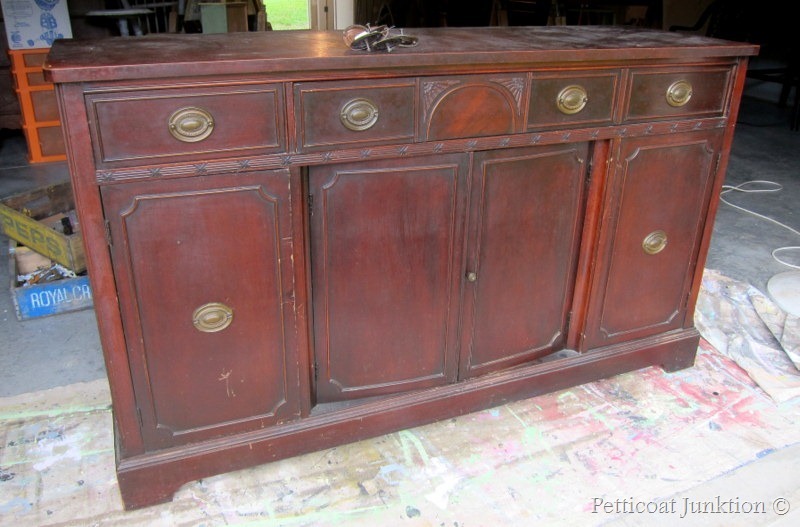 I have the exact same one and refinished it similarly and LOVE it! Do you paint the inside of drawers? I have a piece that is really icky inside. i like looking at your finished pieces. What color did you use for this?